Were you able to guess the place and year of today’s transit photo? 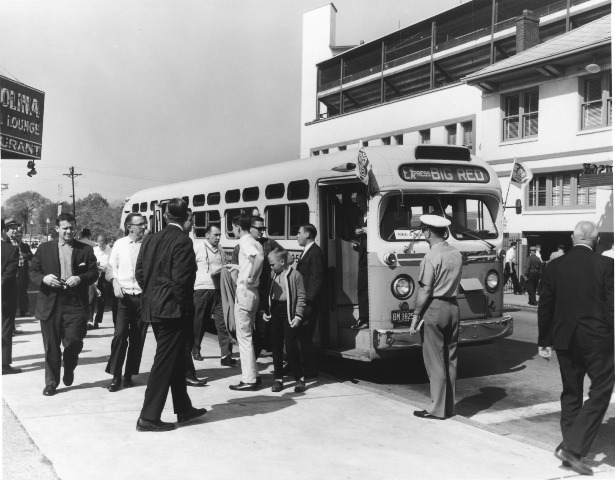 Pictured is a Bi-State Big Red Express bus dropping off passengers in front of Sportsman’s Park in the mid-1960s. The football Cardinals moved her from Chicago in 1960 and played at Sportsman’s Park (also known as Busch I) until 1965. They played at the old Busch Stadium (Busch II) from 1966 to 1987 when they moved to Phoenix. Over their 28-years in St. Louis, the team only made three playoff appearances (1974, 1975 and 1982), never hosting or winning in any of the three. Here’s hoping that this time next year, Metro will be gearing up to transport fans to a Rams home playoff game.